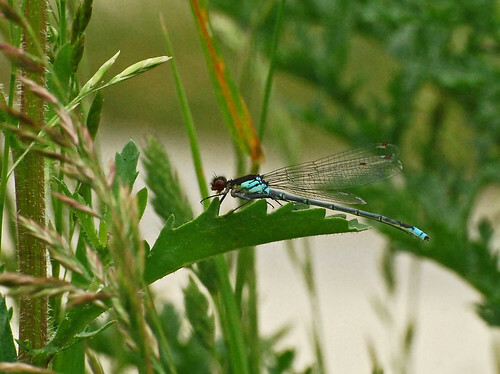 Milton Country Park on the northern edge of Cambridge is a great place to see numerous species of dragonfly and damselfly, and on a foray there on Saturday with my friend, David, we counted 10 species. 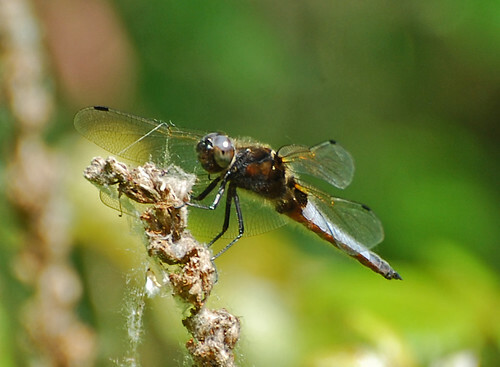 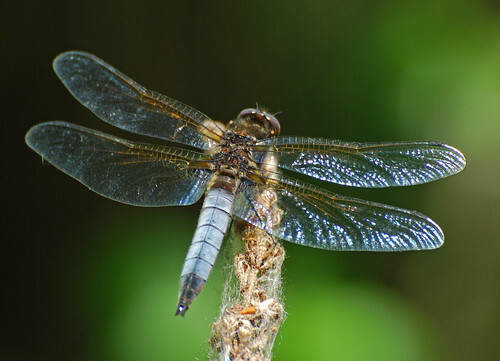 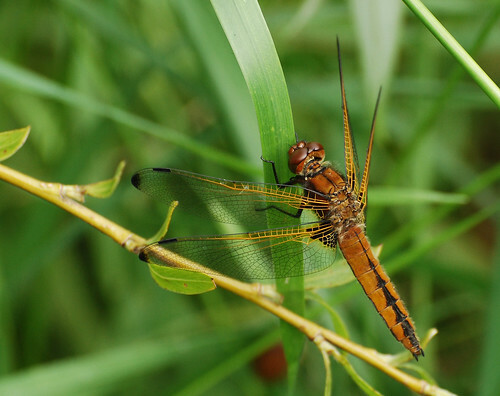 Dragonflies – I’m using this generic term interchangeably to cover dragonflies (Anisoptera) and damselflies (Zygoptera) – are remarkable creatures, there are few more accomplished aeronauts in the animal kingdom, and the various life cycles are amazing. 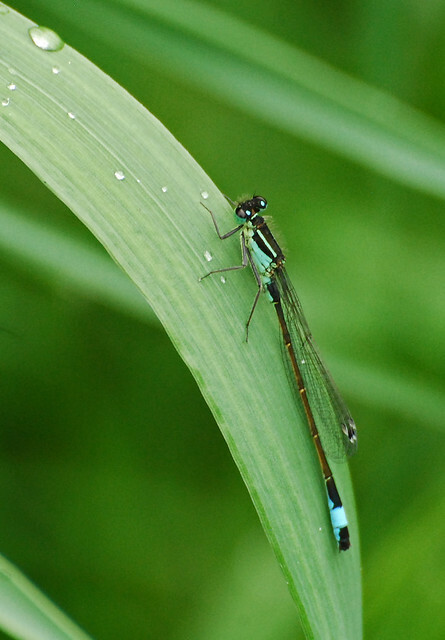 The life cycles involve an aqautic larval stage, the larvae hatching from eggs laid either underwater or inside plant material close to the waters surface. 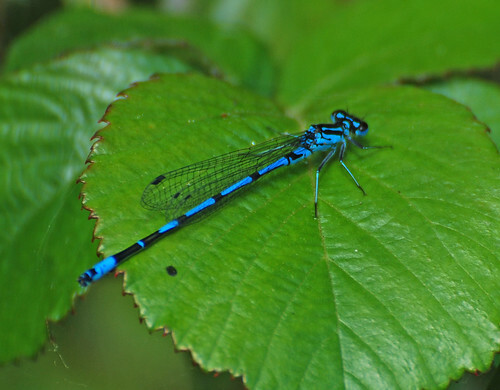 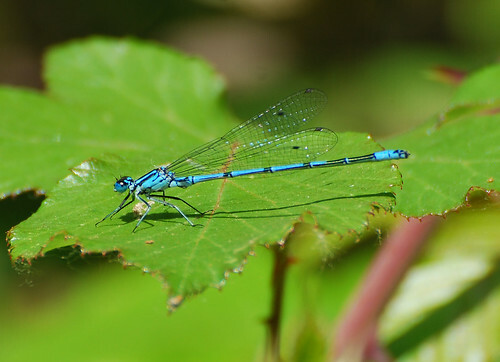 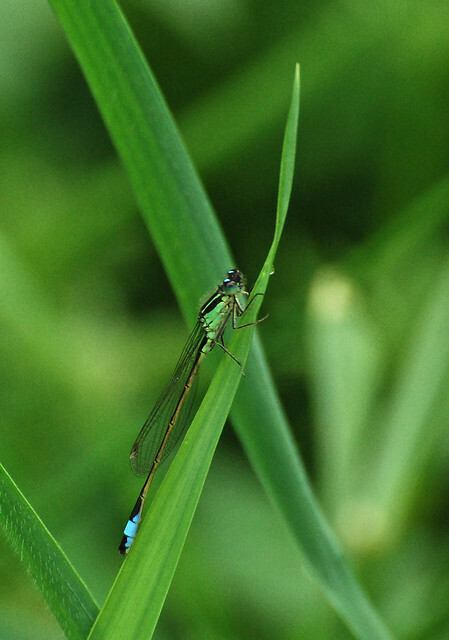 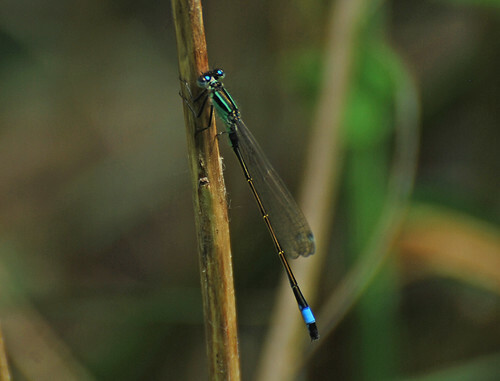 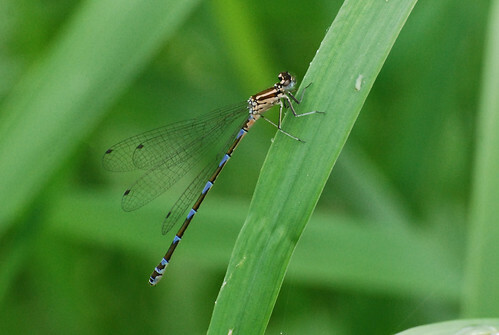 The duration of the larval stage is affected by various factors including temperature, and for species such as the blue tailed damselfly (Ischnura elegans), this results in the difference in duration of the larval stadium (developmental stage) of 1 year in warmer parts and 2 years where it’s colder. 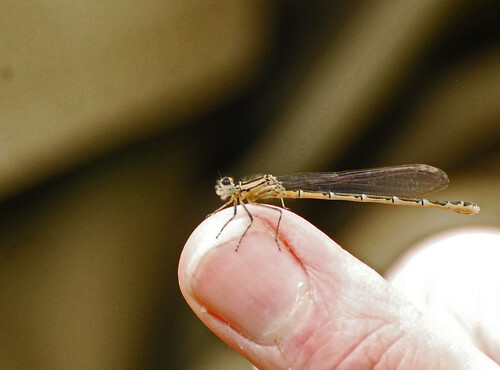 After the larval stage, metamorphosis, switched on by warmer temperatures and extended day length, occurs over a few weeks and concludes with the emergence of the adult from the larval cuticle when it will dry out and take to the air. 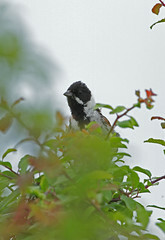 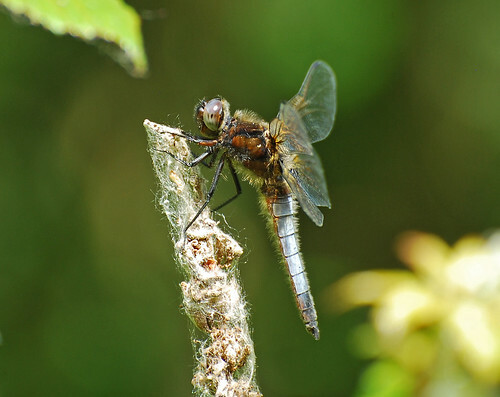 The drying out process is hazardous as it renders the new adults susceptible to predation by birds, consequently they time their emergence to occur at night or in the early morning. New adult dragonflies then disperse from water for approximately a few days to a few weeks, until they are sexually mature, when they return to the water for the serious business of finding a mate and starting the whole process over again. 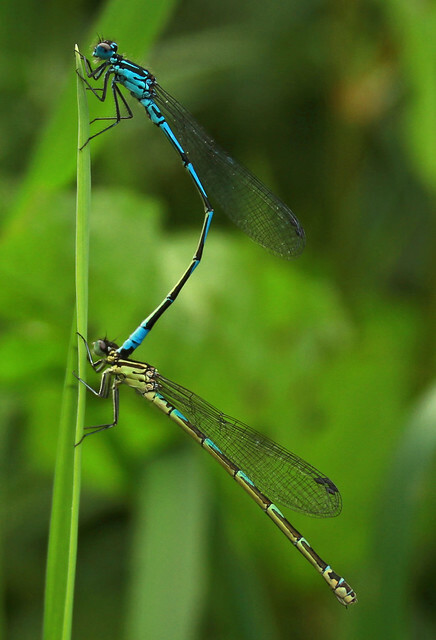 This is a very incomplete and generic description of the dragonfly lifecycle, but if you want to discover more I recommend a book called ‘Field guide to the dragonflies and damselflies of Great Britain and Ireland’ written by Steve Brooks and illustrated by Richard Lewington (ISBN 978 0 9531399 0 3). 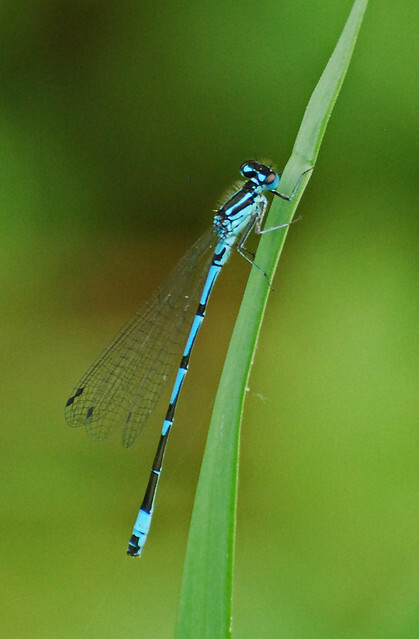 It’s a very well written book with lots of easy to read information and high quality illustrations. 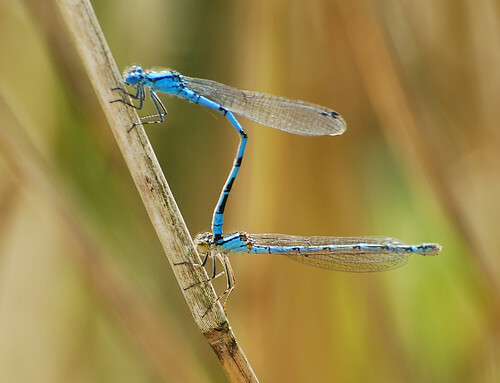 And because there are only around 40 or so species of dragon and damselfy in GB and Ireland it won’t take you all year to read! 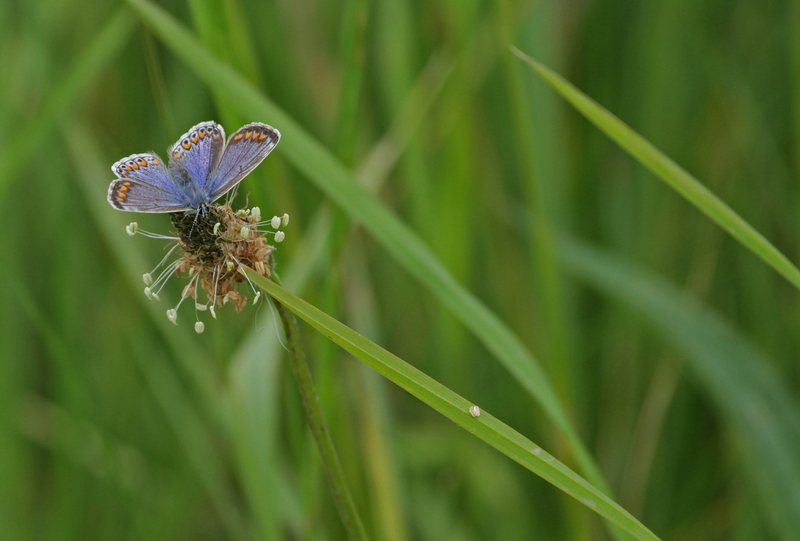 This pair of common blues are in ‘tandem’ with the green eyed female underneath. 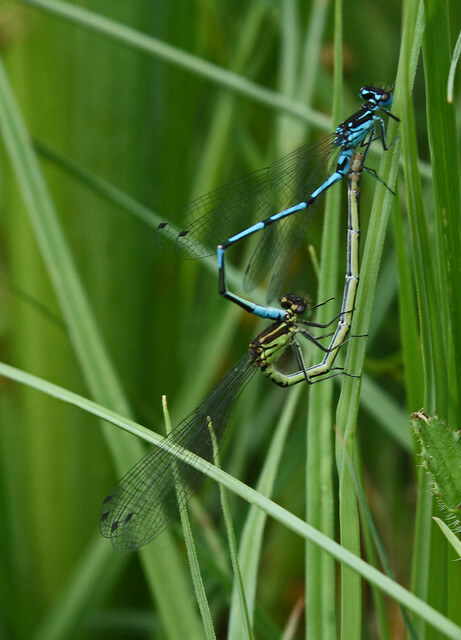 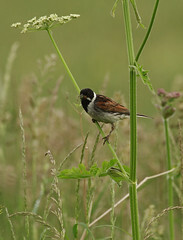 This position is adopted by non-territorial damselflies where the male grips the female behind the head and in this way ensures that no other male can mate with her before his eggs have been laid – a process called ‘ovipositing’. 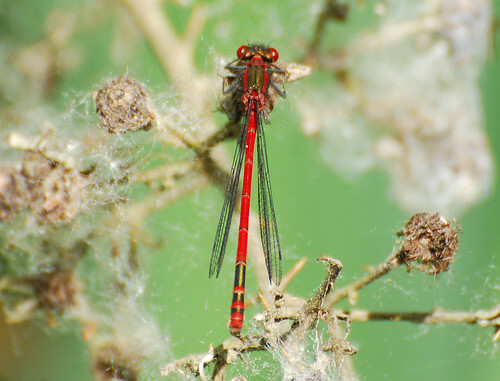 The eggs hatch out after 2-5 weeks and the larvae begin their development underwater where they are ambush predators, feeding on a variety of prey from other insect larvae to tadpoles and even small fish! 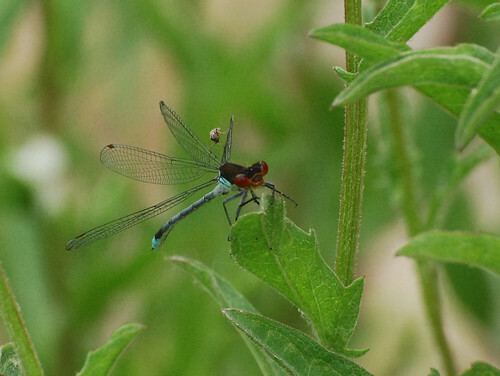 They are amazing creatures, and more species will be emerging over the next weeks and month so hopefully I can gather some more images of other species for subsequent posts before the Summer ends.